Where is the Barrier Free Thinking? Even if you do not have a disability, if you spend enough time in Japan, you will come across the phrase “Barrier Free”, a phrase used by the Japanese government and other interested parties, when highlighting the needs of the disabled in Japan. It is becoming seen as a good thing for a business to be able to say that they offer a “barrier free” service or product, being accessible to disabled people, appears to be very much in vogue, and being “barrier free” is becoming as Japanese as sushi. And as I have remarked on this blog and in other forums, for the most part, Japan is accessible. Many buildings have escalators and elevators, and in the major cities, the transport system—particularly the trains and subways with their “priority seats” for use by those who are elderly, pregnant, accompanied by children, or disabled—is very good. You will often see a station guard appear with a ramp to help wheelchair users on and off the carriage. For the 2020 Olympics and Paralympics, the government is making a big push to make 3,500 of Japan’s 9,500 railway stations disability accessible by 2020, and as of the 1st April 2016, The Law to Eliminate Discrimination against People with Disabilities came into effect, a law that prohibits ‘unjust discrimination’ against people with disabilities. “A man with amyotrophic lateral sclerosis, or ALS — the same disease famed physicist Stephen Hawking has — demanded Tuesday that the Diet rethink how it treats people with disabilities after he was prevented from appearing as a witness during a committee session last week due to communication difficulties. 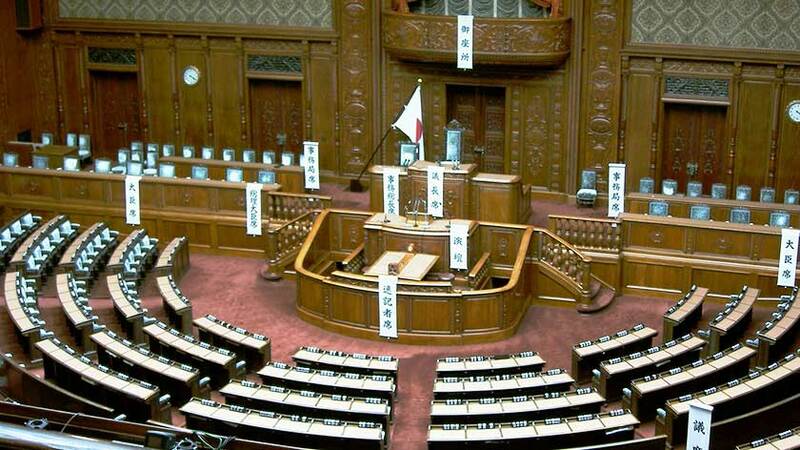 The Lower House Health, Labor and Welfare Committee did not allow Hiroki Okabe, 58, to appear as a witness May 10 to discuss a bill on supporting people with disabilities. Luckily, Okabe was re-scheduled to appear later, and was offered apologies by Lower House Speaker, Tadamori Oshima, but the incident highlights a possible issue that Japan has, that despite the attention paid to slogans like “Barrier Free’, the idea of being barrier free does not extend to ways of thinking about disability. It is not enough to pass laws banning discrimination, a change in the way people and institutions interact with both disabled people and with disability issues has to occur, people should be asking, now that Japanese laws now include disabled people, how can we make sure disabled people can participate in society? You have to be pro-active, it isn’t enough to say ‘we don’t exclude disabled people” and be surprised when disabled people show up. If there was a genuine concern that hearing Hiroki Okabe’s testimony would take a long time, why wasn’t more time allotted to hear him, rather than announcing on the day that it would take too long to communicate? What Japan needs is a Barrier Free way of thinking.